How Do You Optimize Your Google My Business Listing? As the new year begins, it remains as imperative as ever to work on all fronts to optimize every aspect of your presence on Google, from your SEO efforts to your Adwords campaigns. However, many people often forget that their Google My Business page can be optimized as well, and thus it usually takes a back seat when it comes to the online strategy of most. 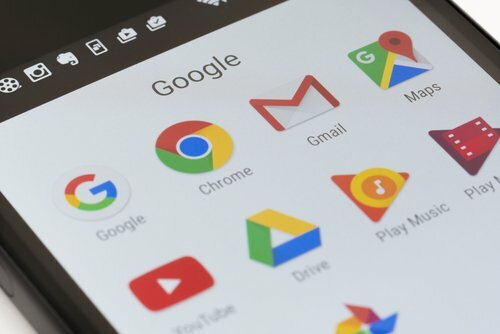 This is a mistake, as many browsers often end up interacting through a site’s Google My Business page as opposed to going directly to the site, and thus it is important to make sure that yours is just as polished and optimized as your website. Here are some of the things you can do to make sure your site runs just as smoothly. Many aspects of optimizing a Google MyBusiness listing are quite similar to optimizing a website. One of them involves the use of keywords. Yes, even though your business listing isn’t nearly as content-intensive as a webpage, Google still analyzes what is written inside, and then uses that as part of its algorithm to prioritize which listings show up first. Include popular keywords and search phrases to sway this in your favor. Every entry into your Google My Business page serves a purpose and aims to clarify exactly what your business is. The pages with the most complete listings are deemed more credible and are usually pushed to the top, so make sure to leave nothing out when filling in the entries when first building your page, and make sure that what is filled out is accurate. This is especially true for locations, as local search results favor the most relevant results for searches, and you want your locations to be taken into consideration. Interacting and responding to customer reviews is a great way of letting Google know that your account is active and that you are regularly monitoring it, both of which score big points with their algorithm. Of course, this is all dependant on you receiving positive reviews, something that many would argue is the most important factor of all. Make sure to encourage customers to leave reviews on Google by creating a link to write reviews for your business. It is a universal fact that having lots of photos on any listing or website is crucial for it to be effective, and Google My Business is no exception. Of course, the most important photo that you will post on your page is your profile photo, so make sure that photo presents a positive and informative look at your business, with the other photos reinforcing that look and providing more detail into your establishment/service. Don’t forget to include alt. text for each of your images, so that Google will better catalog it! Overall, optimizing your Google My Business page really isn’t that different from any other page, however, that doesn’t make it any less important. If you need help with managing your Google My Business page, website, or any other online marketing matters, contact us by phone or by filling out an inquiry form. We’d love to work with you!